For a limited time only, we are offering 25% OFF STOREWIDE! That's right! Get 25% OFF absolutely EVERYTHING & Free Delivery on orders £50+. Includes Sale, New Arrivals, Bestsellers and new collections like Shimmy and BBall. Don't miss out! This offer is available online and in stores today. It will run until midnight, Saturday 26th January, 2019. To support the campaign we have published a full suite of shiny new promo banners and text links – go have a look, there are a quite a few to choose from. 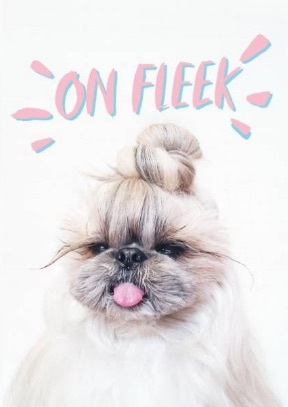 The recommended campaign URL to use is: http://www.smiggle.co.uk/shop/en/smiggleuk/. 3 DAYS ONLY: 25% OFF Everything! This weekend only, we are offering 25% OFF STOREWIDE! That's right! For 3 DAYS only, get 25% OFF absolutely EVERYTHING! Includes Sale, New Arrivals, Bestsellers and new collectons like #FRESH and #POPPIN. Don't miss out! This offer is available online and in stores today. It will run until midnight, Sunday 20th January, 2019. To support the campaign we have published a full suite of shiny new promo banners, text links and even Social Media tiles – go have a look, there are a quite a few to choose from. The recommended campaign URL to use is: http://www.smiggle.co.uk/shop/en/smiggleuk/. 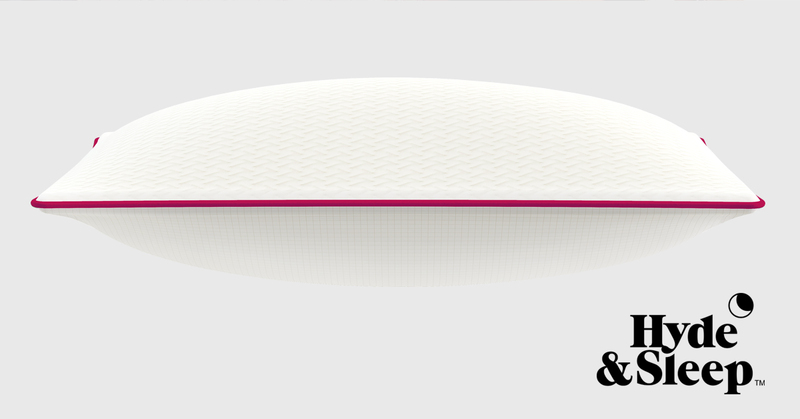 PLUS, keep an eye out for exclusive online promotion launching on Monday, 21st January. CYBER MONDAY - 25% off Ends Midnight! 25% OFF must end Midnight! Get in there quick! 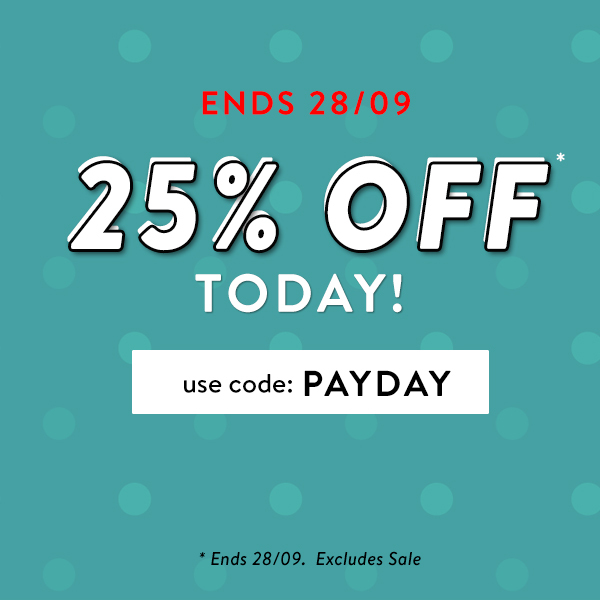 25% OFF - Just in time for Payday! Ends Midnight Tomorrow! 25% OFF NEW IN - Ends Midnight Tomorrow! We're offering 25% OFF all new in - just in time for Payday on Friday! Limited time deal, ends midnight tomorrow. 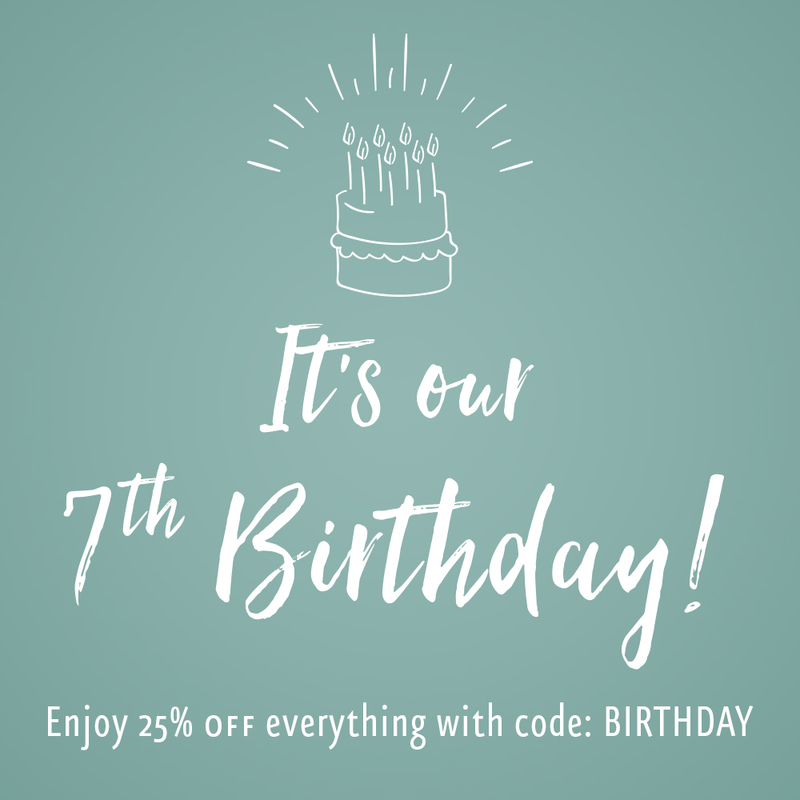 ....And to say thank you for supporting us for 7 years we're offering 25% off site wide! The publisher will need to replace '!!!id!!!' with their publisher ID themselves. WE ARE DELIGHTED TO ANNOUNCE OUR 25% OFF EVERYTHING OFFER! SO TREAT YOURSELF TO A MATTRESS AND ALL THE BEDDING TO MATCH. 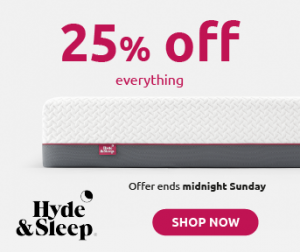 SAFE IN THE KNOWLEDGE THAT YOU'LL RECEIVE 25% OFF EVERYTHING. 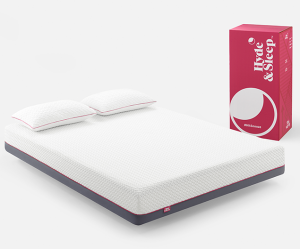 AS WELL AS OUR AWARD WINNING MATTRESSES WE ALSO SELL BEDDING SO ALL YOUR NEEDS ARE COVERED. PRICES FOR MATTRESSES START FROM £299 AND BEDDING STARTS AT £20, YOUR 25% OFF WILL AUTOMATICALLY BE APPLIED AT CHECKOUT. Offer valid until Bank Holiday Monday 2nd April 2018 at midnight. PRICES START FROM £299 AND YOUR 25% OFF WILL AUTOMATICALLY BE APPLIED AT CHECKOUT. Offer valid until Mon 12th February 2018 at midnight. The Lily Charmed Black Friday Event starts soon. There's 25% off all our jewellery, so there's never been a better time to get all those gifts off your list! Silver or gold, necklaces, earrings or engraved pendants, they're all reduced 25% off when you use code HAPPYDAYS at the checkout. Valid from 24th-27th November 2017. 25% OFF - This Weekend! 25% OFF* - This Weekend! Get 25% OFF the latest pieces that have just landed! Includes Men's, Womens & Kidswear! 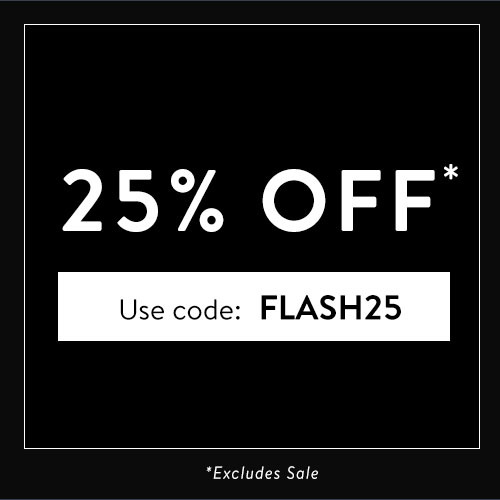 25% OFF Flash Sale Right Now! Hurry... this won't stick around for long! *Excludes Sale. Cannot be used in conjunction with multi-buy offers. WE ARE DELIGHTED TO ANNOUNCE OUR 25% OFF EVERYTHING OFFER. SAFE IN THE KNOWLEDGE THAT YOU'LL RECEIVE 25% OFF YOUR ORDER. Offer valid until Mon 19th October 2017. SAFE IN THE KNOWLEDGE THAT YOU'LL RECEIVE 25% OFF YOUR ORDER.AS WELL AS OUR AWARD WINNING MATTRESSES WE ALSO SELL BEDDING SO ALL YOUR NEEDS ARE COVERED. OFFER VALID NOW UNTIL MONDAY 25TH SEPTEMBER AT MIDNIGHT. 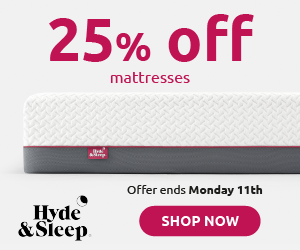 25% OFF EVERYTHING INCLUDING MATTRESSES, PILLOWS & BEDDING. OFFER VALID NOW UNTIL MONDAY 11TH SEPTEMBER AT MIDNIGHT. 25% off everything, hurry ends tonight! Get 25% off everything at La Redoute, including brands and sale AND with free delivery on all orders! Hurry ends tonight! 25% off everything + free delivery! Get 25% off everything incuding all fashion, brands, home & garden! EASY3, 3 Months, 3 Payments, No interest! With EASY3, you spread the cost of your shop over 3 months, rather than pay all in one go – and pay no interest! It’s easy as 1, 2, 3! Don’t forget, you can still choose to pay less than your EASY3 payment, however interest will be charged at your account rate. Credit Account example: cash price and amount of credit £500. Representative 39.9% APR variable. Interest rate 34.1% variable. 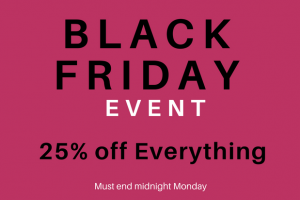 25% off everything + free delivery from La Redoute! Get 25% off everything at La Redoute, including brands and sale AND with free delivery on all orders! 25% off everything, hurry ends Monday! We hope you had a great bank holiday weekend! 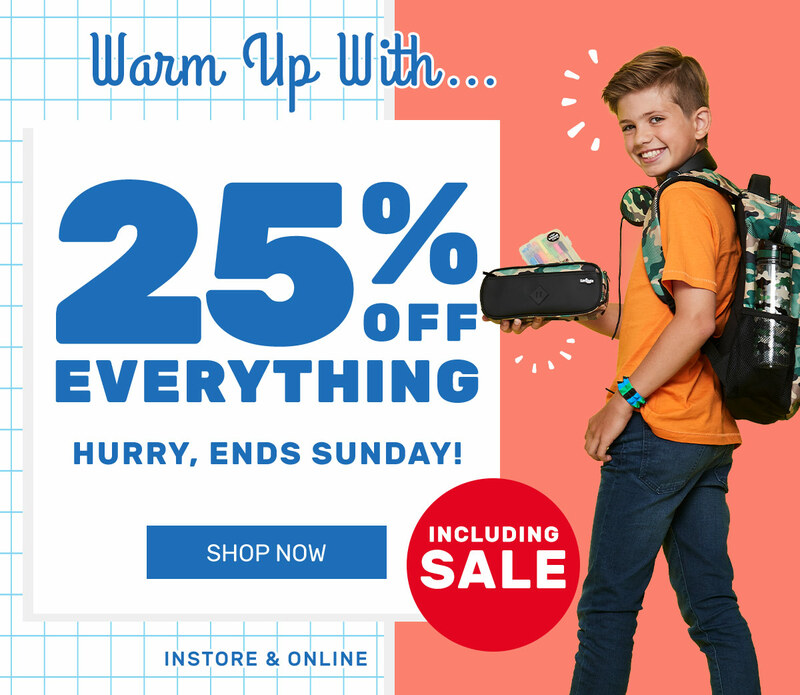 There's still time to save big with La Redoute's Bank Holiday sale, get 25% off everything online! 25% off everything! Hurry ends Monday! Bank Holiday Sale, 25% off everything including brands & sale! 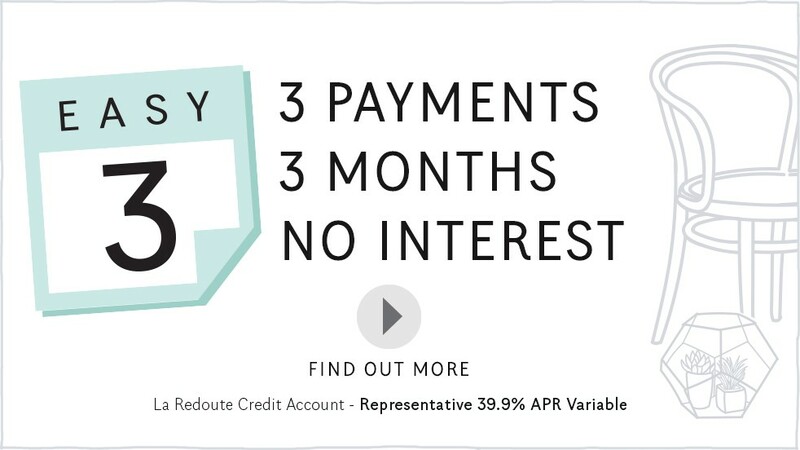 Spread the cost with La Redoute's new EASY3 payment option! 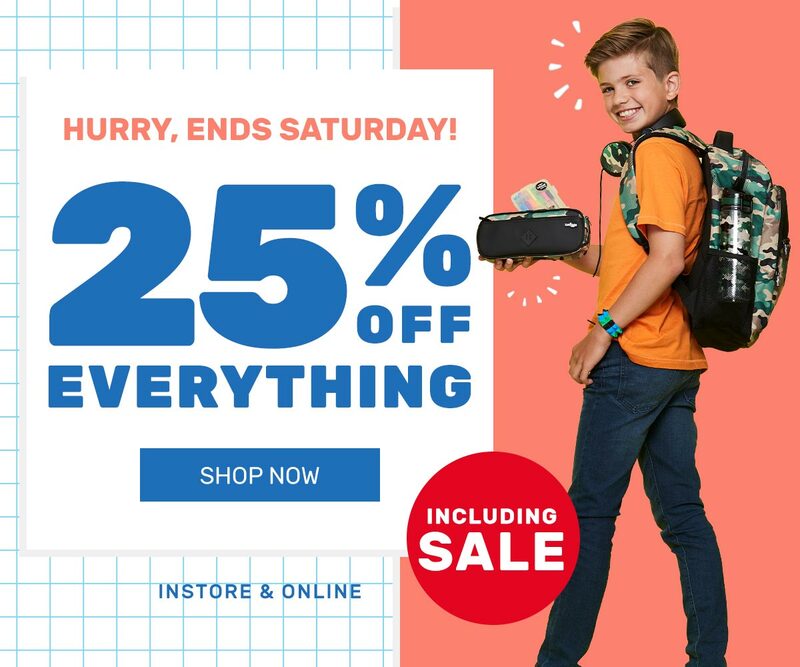 La Redoute have launched their amazing bank holiday sale with a massive 25% off everything online! Don't miss out on pushing this amazing offer! WE ARE DELIGHTED TO ANNOUNCE OUR 25% OFF OFFER. Offer valid until Sun 13th August 2017. 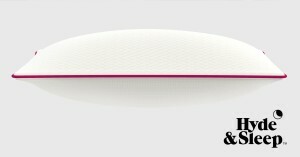 Take 25% OFF* all new lines - you've not got long now so make sure you take advantage of this fantastic discount! *Excludes sale items & multi-buy offers. T&C's apply. Celebrate pay day bank holiday with 25% off everything, hurry ends Monday! Make the most of May pay day bank holiday with 25% off at Scribbler, stock up on your cards for the year with this amazing deal! Hurry ends May! May bank holiday 25% off everything! 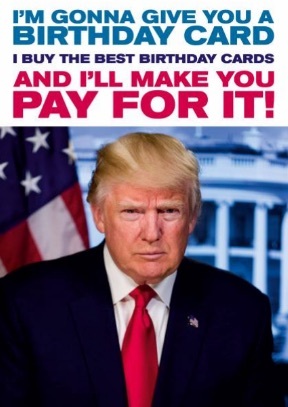 Get 25% off, no minimum spend! This weekend only, hurry ends Monday!